4. TASS: Western liberal model is losing attractiveness, Lavrov believes. 5. Vedomosti: Russian daily views public mood importance for regional elites. 6. Paul Goble: A Horrific Vision of Russia’s Future: 25 Big Cities Surrounded by Dumps and Connected by Pipelines. 7. Bear Market Blog: Runet law passes on second Duma reading. 8. Meduza: Russian lawmakers have adopted the final version of new ‘Internet isolation’ legislation. Here’s how it’s supposed to work. 9. Moscow Times: Richest 3% Russians Hold 90% of Country’s Financial Assets – Study. 10. Russia Observer: Patrick Armstrong, RUSSIAN FEDERATION SITREP 11 APRIL 2019. 11. Interfax: Calvey to stay under house arrest till mid-summer. 12. 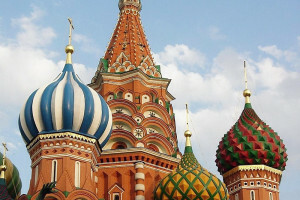 Intellinews.com: Renewed demand for Russian domestic OFZ treasury bills a barometer of improving sentiment towards Russian assets. 13. www.rt.com: Nord Stream 2 pipeline hits 1,000km marker as US fails to talk Europe out of Russian gas supplies. 14. Interfax: Poroshenko, Merkel admit disagreements on Nord Stream 2. 15. TASS: Lavrov says US economy unable to compete honestly. 16. www.rt.com: Russian finance minister calls for restoring economic & political ties between Moscow & Washington. 17. Reuters: Russia cashes in as European oil refiners pay for U.S. sanctions. 18. New York Times: Military Drills in Arctic Aim to Counter Russia, but the First Mission Is to Battle the Cold. Moscow is moving to claim Arctic territory as barriers between Russia and North America melt. Yet still bitter temperatures pose an immediate threat to NATO troops defending icy waterways. 19. www.rt.com: Everyone except US: Experts praise joint efforts at Arctic Forum. 20. Russian Foreign Ministry: Foreign Minister Sergey Lavrov’s remarks and answers to media questions at the opening of the ministerial session of the 5th International Arctic Forum The Arctic: Territory of Dialogue, St. Petersburg, April 9, 2019. 21. TASS: Nezavisimaya Gazeta: Sudan coup could strip Russia of foothold in Africa. 22. RFE/RL: Interview: Russia Seeks To ‘Capitalize On Opportunities’ In Libya. 23. Jerusalem Post: RUSSIA AND TURKEY ARE NOW DEEPLY ENTWINED ON TRADE AND DEFENSE. Russia’s alliance with Turkey underpins new regional strategy in Middle East. 24. The ASAN Forum: Alexander Lukin, Does Russia Have a Viable Strategy to Become an Independent Pole in Eurasia? 25. The ASAN Forum: Jeff Schubert, Does Russia Have a Viable Strategy to Become an Independent Pole in Eurasia? 26. Interfax: Zelensky projected to beat Poroshenko 61%-24% in 2nd round of presidential election in Ukraine – poll. 27. Reuters: Factbox: Policies of Ukraine’s presidential frontrunner Zelenskiy. 29. Vesti.ru: Will US Decide Who Becomes Ukrainian President? Kurt Walker Doesn’t Like Zelensky! 31. Wall Street Journal: Kimberley Strassel, Barr Brings Accountability. Trump’s foes call it ‘stunning and scary.’ Here’s what they have to be scared about. 32. The Nation: James Carden, How ‘Russiagate’ Has Reshaped American and Russian Public Opinion. As a new study reveals growing distrust between the populations of the two countries, citizen diplomacy becomes all the more important. 33. Wall Street Journal: Yuri Vanetik, Russiagate’s Collateral Victims. I was smeared because I’m a Soviet émigré with GOP connections.